(Get your name, contact details and C.V.
or others wanting to work on an oil rig or for an oil company. resume.I am furnishing few of my personal details here under. State of domicile : Andhra pradesh,India. Please find forwarded herewith my resume, as a "word 97-2003 document" attachment file titled "Francisco Edwin Rodrigues - Resume"
I appreciate it. I am driving up to find a job. I have been filling out online applications since January and haven't landed anything yet. So, if you need someone by May 1st I will be in North Dakota. I am looking for a floor hand position. Good morning. I'm tarek hammad .Working as assistant driller for 6 years on conventional and cyber jack up rig ( last 2 years worked on cyber rig).participated on 3 major projects in ship yard which gaveme a good experience on all drilling equipment (removing, installing and repairing).I have a good experience in all drilling operations.Please find attached file for my cv. Your help w'll be highly appreciated. I would like to apply for the post of Mess Boy/ Roustabout in your organization . Please find attached my resume. I am interested in possible employment opportunities with Fox Oil Drilling, and would like to submit my resume for your consideration. I am particularly interested in land rig site preparation and construction works. I have 29 years experience in civil engineering, earthworks, piling, drilling etc, and have a BSc degree in Geology and an MSc degree in Geotechnical Engineering. Whilst i have been working in the civil engineering industry in the UK for most of my career, after graduating I spent 2 years as a mud logger, working on jack-ups in the South China Sea, a deep water drilling ship in the North Atlantic, and a land rig in New Mexico. I therefore have a good working knowledge of oil drilling operations. I am particularly experienced in managing civil engineering work contracts, and supervising works on site. I also have considerable experience of tendering, commercial control of contracts and dealing with contract claims. If you feel that my application may be of interest, please do not hesitate to contact me. I was just wondering if you accept applicants from the Philippines. I have always been interested in all phases of oil drilling jobs & have been wanting to work for Fox drilling. I was employed by a land rig company in Kuwait on it's workover drill first, as roustabout, then as floorman after six months. Prior to that, I was a rig mover in Saudi Arabia operating lowbouy and kenwork trucks servicing several drilling sites across the Middle East. These works made myself more interested in drilling jobs. I hope my previous work experience might make me particular useful in your search for roustabout or floorman. if any. I also hope that you can keep my application on file for future use. We have urgent opening for Driling Crew for Canada. The job positions we are recruiting are mentioned below with salary details. Kindly send us your detailed resume mentioning about your day to day roles and responsibilities carried during all previous and present jobs along with notorised copies of your experience, educational, training certificates along with coloured copies of first and last page of your passport copy. Hybrid Drilling Rigs First Generation Hybrid Rigs (CT1500)- drilling up to1,500m vertical with 2 7/8" coiled tubing or 1,200m with 3 1/2" drill pipe. Second Generation Hybrid (CT2200)- drilling up to 2,200m vertical deep with 3 1/2" coiled tubing or drill pipe. Please forward this email to all your freinds and colleauges in the industry. the interview for positions of derrickman and drillers will take place around 10th of January 2012. Important Note: Please dont send us resumes without mentioning your roles and responsibilities. Breifly explian your hands on work experience that you do in your day to day jobs. For any assistance you can call us. I am inquiring about any position in the engine room on your company drill ship. I am a US Merchant Mariner. Candidate 22232: Oil & Gas industry expert with over 20 years experience specialising in Well Services/Completions.Experience gained working in North Sea waters, now working internationally. Only short term contracts considered, currently earning approximately £9,000 per month, notice period of 3 months. Candidate 23778: Well Site Supervisor (Texas) – seeking new position internationally. Is a result orientated, high energy , hands on professional with asuccessful tack record of getting the task at hand done quickly, safely and cost effectively. Open to offers. Candidate 23781: A very experienced Commissioning Engineer/Project Manager/ Mechanical Engineer with experience covers a wide range of Mechanical Engineering and Management positions in marine, petrochemical and offshore industries, with particular knowledge of installation, design, commissioning, operation and maintenance of rotating equipment to include steam/gas turbines, compressors, pumps, electric motors, large ball valves both topside and subsea as well as experience of drilling equipment selection and operation. Salary expectation of £120,000+ and is available with 3 months notice. Candidate 22522: Completions Supervisor with over 20 years hands on experience in the oil and gas sector specialising in open hole / cased hole completions both onshore and offshore, business development, interfacing with clients, providing technical assistance and managing a cmulti-cultural workfores with a good understanding of the Middle East markets.Immediately avable for permanent roles preferably in Middle East. Candidate 23836: Coiled Tubing Advisor with over 10 years in the Oil & Gas industry in the North Sea providing global technical support to operations, engineering, business development, technology & external customers relating to the use of coiled tubing. This includes ongoing operations and planning of future potential operations as called for. The role also involves creating global best practices & procedures, facilitating the knowledge management website and involvement in technology development.etc. 3 month notice period – salary to reflect experience. Candidate 22170: My candidate has a valuable track record in corporate and strategic, business developmentcompetency and corporate risk. Identifies opportunities and the realisation of outcomes implemented in business direction, investment and maximising financial returns. He is most passionate and successful in discerning talent and applying it to business growth. His experience is all at Director level within the Oil and Gas industry, upstream and midstream and would be a valuable addition to any organisation. Salary expectation £100k, available within 1 month and is willing to relocate. Candidate 23834: Technical Director with 25 years of work experience at different levels starting from Engineer to Board of Director and Managing Director of Multinational Group having operations in more than 10 countries worldwide. Working on EPC projects in Oil & Gas, Chemical, Petrochemical, Pipe Line and Power industry. Available within 3 months. Salary negotiable. Candidate 22345: High calibre professional brand new on market who is offering a wealth of experience, skills, know-how and insight in business process improvement gained and developed in a variety of challenging, demanding, complex and dynamic environments including significant experience within Oil & Gas (E&P) companies. Prior to working as an external consultant for the past 9 years held various management positions in the arena of internal business process improvement, information management and IS service management. Candidate 22258: An exceptional Upstream Developments Manager with extensive experience developed within the Energy Industry on both pre and post sanction projects. Has accountability for all new developments worldwide for a FTSE30 company, which currently includes a portfolio of over thirty ‘live’ developments. Available immediately and is flexible on salary. Candidate 23797: A highly motivated and conscientious Account Manager/Business Development Manager within an Oil and Gas Service company, dealing with Operators, Drilling Companies, Supply Houses and Service Providers. Dealing primarily with Business to Business Chemical sales and has built up a strong network within the Oil and Gas Industry. Also tasked with training of new salespeople within relevant area. Immediately available. Candidate 23803: Experienced Business Developer and Key Account Manager currently working for a leading oil and liquefied petroleum gas (LPG) sales, marketing and distribution business but has vast experience working in the offshore/E&P market being responsible for business development in industrial lubricants. Impressive year on year targets and results – consistently exceeded annually. Candidate 22189: My candidate is a highly experienced Senior HSE professional with over 5 years experience in the Oil & Gas industry. He has a well rounded experience within this industry as has worked in both Marine and Subsea sectors. He is immediately available and willing to relocate internationally should the right opportunity arise. Salary expectation £60k. Candidate 22365: A well rounded HSE professional with 20+ years supervisory experience in areas of site health & safety, project management, SMS management, O&G operations, high profile construction projects with a proven ability and ‘hands-on’ approach to lead, monitor, oversee and implement effective SMS. Currently earning£500 per day but will consider reasonable salary packages. Candidate 22323: My candidate is a highly experienced international Senior Geophysicist professional with over 35 years experience in the Oil & Gas industry as a geophysical interpreter in the oil exploration in different sedimentary basins. He has extensive experience in project management, which gained through managing all aspects of large oil exploration in North Africa. The job included preparing work plans, budgets, hiring and supervising professional and technical staff, monitoring outputs and evaluating results. He has extensive experience in managing staff. Managed over 250 professional, technical and administrative staff as well as supervising the researches of the geophysicists. Day rate expectation: $1000 day rate/salary negotiable and is available with 2 weeks notice. Candidate 22328: My candidate is an accomplished Senior Geoscientist with 30 years of research and development experience. Areas of expertise include; energy absorption, wavelets, seismic attenuation and other seismic attributes. Capabilities include executing the full life-cycle of technology development from physical theory through mathematical consideration, software development, case studies and technology transfer. Candidate 22325: This candidate is a very experienced Geologist (Mexico) with over 20 years experience in the Oil & Gas industry as an Operational Geologist and has extensive knowledge of supervising geological aspects of drilling wells. $500 day rate or salary equivalent, available within 15 days. Candidate 23745: Geoscientist with 25 years experience of specialist interventions and technical leadership in the Oil & Gas industry. Has a PhD in Geology and has proven expertise in integrating screening study, technical and non-commercial and negotiation issues providing exceptional contribution to the regional geological data and reservoir and basin modelling, furnishing the finished product to the top management. Candidate 22293: Senior Logging Geologist with over 6 years experience in the Oil & Gas industry in international waters. 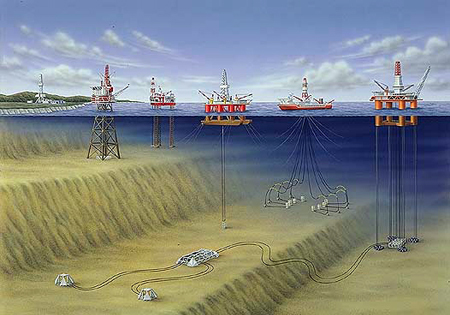 Has experience working with many major operators, offshore and onshore rigs. Availability is 1 month and has a salary expectation $2,500 USD per month + living allowance. Candidate 22599: Well rounded and computational Geoscientist with broad skills 2D/3D/4D seismic interpretation, acquisition and processing. Candidate is available worldwide , having over 35 years of extensive experience in various aspects of hydrocarbon exploration and field development. 6-8 weeks notice and salary negotiable. Candidate 23754: An exploration Geologist/Exploration Manager with over 20 years experience that has been technically proven in a variety of backgrounds on kimberlite and alluvial exploration programs. My candidate is a task orientated manager with strong interpersonal and communication skills. A team player who enjoys putting together, training and mentoring exploration crews. Proven management abilities ranging from small, self supporting projects to large multi-million dollar projects integrating numerous personnel, skill sets and service departments. Available immediately. Candidate 23791: Geophysics graduate with 2 years experience as an Upstream Oil and Gas Analyst, 21 months experience as a Marine Geophysicist, Well developed presentation, teamwork and leadership skills. Salary expectation between £30,000 - £40,000 and can be available immediately. Candidate 23157: Geoscience Project Manager with over 30 years experience working both on and offshore on international locations, sometimes on remote and hazardous operations. Initial oilfield employment was Geological services, being a Geology Graduate, but then moved on to Drilling Operations / Engineering and then Field Operations Supervision. This included repair and testing of surface and downhole equipment, teaching, training and performance evaluation of field engineers of various nationalities, with quality control of data / log output plus logistics for personnel and equipment for the operation. Is immediately available and flexible on salary package. Candidate 23824: International Well Site Geologist with 6 years + experience in onshore fields, vertical and deviated wells. Landing points, coring points and horizontal drains. Experience in Tight gas reservoirs and Gas Shale reservoir. E-logging decisions, mobility and pressure pre-test depth position. Petrophysic model calibration with core data (CCA y SCAL), porosity, permeability, and XRD. Naturally fractured fields experience. Well correlation and well pick interpretation with mud-logging, e-logging and core data. Work-overs proposal for non producer wells. International work only. Candidate 23830: Focused and hard-working Exploration Geologist with excellent research, analytical and interpretational skills. I have 2 years industry experience in hydrocarbon E&P. Excellent academic and professional experience in hydrocarbon exploration and play evaluation. Strong research, analytical and interpretational skills necessary to contribute to the exploration and development phases of hydrocarbon production. Available with 4 weeks notice. Candidate 22373: I have a time served Electrical/Service Technician (UK) with experience working on offshore installations. Has all his offshore certificates including but not limited to MIST, BOSIET, ISSOW, Working at heights, offshore medical and has experience working with SAP and Maximo. Salary negotiable and can be available at short notice. Candidate 23570: Offshore Electrical Inspector with a wide field of experience in the oil and gas industry installing, inspecting, commissioning maintaining and repairing electrical equipment in hazardous and non hazardous areas on and offshore. My candidate is immediately available and at current market rate. Candidate 23759: Over twenty years experience in the electrical industry on a diverse range of installations as anElectrician, Electrical Supervisor and Inspector. Most recently be in working in Kazakhstan but has vast experience working in North Sea waters. Available immediately and ready to mobilise. Candidate 23776: A Maintenance Supervisor / Electrical Technician with over 14 years experience in the electrical industry currently working on assets in the North Sea. Has BOSIET with Norwegian waters, Medical, MIST and 17th edition inspection and testing upgrade, COMPEX Ex 01 – Ex 04 plus many other various offshore certificates. Available to mobilise at short notice. Candidate 23777: Time served, fully indentured Electrician with great practical experience in all aspects of electrical installation and maintenance on various ship yards, power stations and heavy industrial sites throughout. Main duties include glanding (barrier/cmp/swa) testing and inspecting. All offshore certificates up to date. Available to mobilise at short notice. Candidate 23757: Time served Maintenance Electrical Technician, responsibilities and duties include the carrying out of planned preventative maintenance tasks on all LV/HV equipment in a safe, competent and efficient manner, complying with all electrical regulations and site procedures. Organisation of work tasks within the maintenance schedule and compile detailed reports on those activities. Available in 4 weeks. Candidate 23802: Experienced Electrican, current duties include Inspecting Ex Equipment on Oil & Gas Platforms in the North Sea Sector. During Inspections data is collected and stored using the handheld Ecom System devices. Glanding and Terminating of Ex Equipment in Potentially Explosive Areas using the ISSOW Permit Safe System of work. Available at short notice. Candidate 23812: Maintenance Engineer who is a versatile and highly accomplished professional demonstrating strong experience as a Maintenance Engineer / Supervisor specialising in the technical maintenance of hydraulic & pneumatic lines. Hands on experience in organising routine servicing schedules, checking and calibrating instruments to ensure accuracy, carrying out quality inspections, responding immediately to equipment breakdowns. Started in Oil & Gas industry 4 years ago starting as Roustabout, progressing to Floorman and Derrickman before moving into Maintenance role. Available with one months notice. Candidate 23751: Fully qualified 17th edition Electrician, Offshore Electrical Technician. Keen to start a career offshore, has completed of Nexen Risk assessments and Nexen ESSOW Level 1 and offshore induction. With a solid 9 years’ experience behind the candidate, currently holds offshore survival, COMPEX EX01, EXO2, EXO3, EXO4 and MIST. Immediately available on permanent and short term contracts. Candidate 23818: Electrical Technician with over 30 years experience in construction and maintenance on shore and offshore, including oil and gas platforms, FPSO’s and marine vessels. All certificates up to date including Medical, BOSIET and COMPEX 01, 02, 03, 04. Available 2 weeks notice. Candidate 22296: Experienced Offshore Service Technician working both on and offshore involved with refurbishment of offshore drilling equipment and wellhead completion, pressure testing of various riser assemblies, IV stacks and pipe fittings. Looking for a permanent position offshore and has all relevant certificates therefore could mobilise at short notice. Candidate 23795: Currently working offshore as a Floorman carrying out winch operations some technical and extreme heavy lifting conditions. Previously working abroad in various places mostly in Turkmenistan and surrounding area’s carrying out winch operations moving of oil rigs and platform’s out to sea on barges and reinstating rigs on location, Planned maintenance on winches ie: hydraulic engine etc. Previously was working in the North Sea fishing industry for approx. 11 years. Available with 2 weeks notice. Candidate 23796: Offshore experience: Roustabout (3 years) / Roughneck (8 years) Derrickman (4 years). Working in the offshore industry with the same company for 15 years, over the years duties included responsibility for the training of ‘green’ crews in safety and work practices; delivering instructions using both radio communications and hand signals; operating a counterweight forklift; ensuring strict adherence to client requirements/instructions; acting as safety representative for several offshore crews; participating in helicopter and general firefighting/rescue training. Available immediately. Candidate 23711: Experienced Stage 3 Crane Operator who has worked for major Oil & Gas companies in the North Sea and in International Waters including but not limited to Brazil. Is currently seeking a permanent role – available immediately. Salary expectation £55, 0000 + benefits. Candidate 23772: An effective and resourceful Stage 3 Crane Operator looking for a new permanent opportunity with lots of experience on both fixed platforms and Jack Ups in the North Sea. Available at short notice. Candidate 23786: Experienced Rigging Supervisor with all valid certification including LOLER appointed person. Experience covers a large variety of projects, including hook-ups, derrick removal, major platform refurbishment, shutdowns, de-commissioning, construction and general day to day platform rigging. Duties are compiling and implementing complex LOLER lift plans, supervising heavy lifts and method statement writing. Supervisor, Heli-deck crew as well as a lifeboat coxswain. Available at short notice, open to reasonable salary packages. Candidate 23787: An experienced Stage 2 Offshore Crane Operator in all aspects of lifting operations including simple, complex, tandem and blind lifts with various types of lifting equipment and accessories, also experienced in fleet management, vehicle maintenance, carriage of dangerous goods by road, and cool chain, general, oversized and heavy haulage. Immediately available. Candidate 23806: Stage 2 Crane Operator with over 10 years experience in the Offshore Industry and prior to that the deep sea merchant fleet for six years. Wide experience of working on various ship types MPSV, DSV, AHTS, PSV, SBV as well as Tankers, Cable Layers, Semi Submersible, Drillship and Jack Up Barge/Vessels. Heavy Lift Crane Operator and Knowledgeable of all deck machinery, deck maintenance and supervision, as well as the operator of Gantry, Pedestal, Knuckleboom (150 T). and Lattice Jib (50T) and Heavy Lift (1000T) (Sparrows Certified) (Banksman / Slinger Certified) (Rigger Certified). Immediately available. Candidate 23747: Specialist in Offshore Materials and Logistics, working as a Superintendent internationally, with extensive experience in pre job planning and procurement. A broad knowledge of drilling operations, having worked on jack-up’s, semi submersibles, and platforms, land-rigs, and on overseas projects both onshore and offshore. Experienced with onshore pre-planning & start-up of wells, and procurement of equipment for future operations. Familiar with exploration, testing, re-drills, deep water, HP/HT, and completion wells. Only international locations considered, one month notice period. Candidate 23699: Drilling Materials & Logistics Co-ordinator (DMC) currently interviewing for new opportunity offshore DMC roles. Has approximately 15 years experience from Storeman to DMC and been on various offshore assets worldwide inclduing most recently North Sea. Permanent and short term contacts considered, £525 per day or minimum £80,000 salary. Candidate 23831: Materials & Logistics Operations Supervisor assigned to oversee the day to day operation of the Drilling logistics for SNS wells. Duties as previously, full responsibility of all materials for the drilling operations of the wells & now including chartering, auditing & negotiating rates for spot hire vessels/term vessels & the rig move/towing vessels. Systems used PMX, Sun & recently SAP. Available within 6-8 weeks (flexible). Candidate 23347: Very experienced Oil & Gas Consultant, over 12 years in the oil & gas industry, has covered all aspects of project work, including engineering, QA/QC and pre-commissioning. Has most recently been working as a Process Engineer leading an engineering team and consulting on onshore and offshore based projects for major oil companies. Involved in conceptual design studies (process) for facilities in the North Sea and overseas. Is immediately available and is open to offers regarding remuneration. Candidate 23832: 8 years Reservoir Engineer with an MSc on E&P and a specialization on Reservoir Evaluation and Management. Advanced Skills on Reservoir Engineering Subjects (Field Experience and Characterization). Technical Skills: EOR, PVT, Exploration Principles, Petroleum Systems, Structural Geology, Well Testing, Reservoir Simulation, Reservoir Geophysics, Geomechanics, Geostatistics, Drilling Engineering, Economics, Decline Analysis, Risk Analysis, Petrophysics, Subsurface Technology, Reserves Assesment and Booking, Geomodeling and Reservoir Management. Available within 1 week and willing to travel internationally. Candidate 23554: Highly sought after Drilling Superintendent with over 30 years experience in the Oil & Gas industry with knowledge of cementing, sand control, stilmuation, tools & testing, MWD/LWD, directional drilling and drilling supervisory positions in many areas of the world. Experienced with land and offshore operations, particularly in deepwater in Med Africa. Only short term contracts considered. Available mid October 2012 and currently looking for new opportunities. Candidate 22710: An Operational / Down-hole expert (Drilling Supervisor) with 32+ years of International and Domestic experience working either Land or Off-shore with Drilling, Work-over, & Completions in both Oil & Gas wells with depths from 1000-25000ft. in various complex formations using Applied Drilling Techniques (ADT). Utilizing oil / water, polymer and or silicate based drilling fluids, over / under balanced and / or managed pressure drilling systems, with MWD/LWD/RSS and / or Geo-Pilot for deviated, short-or-long radius horizontals, multilateral, sidetrack and ERD wells. Candidate 23784: Wellsite Drilling Engineer/Night Drilling Supervisor currently seeking new opportunities. 10 years experience gained in Nigeria, open to working internationally. Holds all relevant offshore certificates including ISO 14001 Wellsite. Minimum salary expectation £40,000. Candidate 23785: A highly, self motivated and goal-oriented Petroleum Engineer committed to pursuing a long-term career in offshore drilling. five years working experience with the world’s premier drilling company and able to demonstrate analytical and problem solving skills. Most recently been working as a Floorhand in a permanent contract. 1 month notice period and open to offers regarding salary package. Candidate 23798: Offshore Field Technician, with experience dealing with the controls of the subsea equipment offshore. Completed and apprenticeship in Mechanical Engineering and an HNC in Engineering Systems. Gained a lot of offshore experience in a short time, now seeking onshore position as Engineer Surveyor. Candidate 23817: A well rounded and confident Night Drilling Supervisor is actively seeking a new position, he has previous experience working on and offshore in Angola and Venezuela. Valid IADC until 2014 and Degree in Mechanical Engineering. Available at short notice and flexible on salary package dependent on location. Candidate 23827: Highly motivated and responsible MWD / LWD Engineer with five year’s oilfield experience. Good problem-solving and negotiating skills and I am an effective communicator with experience working as part of a diverse team in multiple locations worldwide. Actively seeking career progression and new challenges within the Oil and Gas Industry - willing to travel and relocate. Candidate 22346: My candidate a Commercial Analyst (UK) has over 8 years experience with international Oil and Gas operators and upstream/midstream projects, is currently seeking new opportunities, has a wealth of expertise in the area of debt funding and banking, capital-intensive business decisions and negotiations, cash flow and sensitivity analysis, construction and operating of economic models. Salary expectation is £49k and has a notice period of one month. Candidate 22174: A competent, adaptive and enthusiastic professional of wide-ranging talent, with over nineteen years of experience in the Oil & Gas and resources industry, excellent project management skills spanning all aspects of project delivery; such as project gates, packaging, maintenance, strategic procurement & logistics, construction and commissioning of Greenfield & Brownfield as well as upstream & downstream projects of different sizes. Familiar with AS, API, ASME Standards and industry practices used throughout the oil & gas field. I practice a strong understanding of HSE and quality assurance requirements in an Operator and EPCM environment and make safety an underlying principle of all my undertakings. Available within 2-3 months. International locations considered including Aberdeen, Scotland and Houston, USA. Candidate 23782: A technically motivated MSc Drilling and Well Engineer with a BSc in Petroleum Engineering. Two years experience in Well Engineering, Petroleum / Reservoir Engineering, Engineering design, and project management in the oil and gas industry. Salary Expectation of £20,000+ and available at short notice. Candidate 22373: Time served Electrical/Service Technician (UK) with experience working on offshore installations. Has all his offshore certificates including but not limited to MIST, BOSIET, ISSOW, Working at heights, offshore medical and has experience working with SAP and Maximo. Salary negotiable and can be available at short notice. Candidate 23750: Offshore Electrical Inspector with a wide field of experience in the oil and gas industry installing, inspecting, commissioning maintaining and repairing electrical equipment in hazardous and non hazardous areas on and offshore. My candidate is immediately available and at current market rate. Candidate 23759: Over twenty years experience in the electrical industry on a diverse range of installations as anElectrician, Electrical Supervisor and Inspector. Most recently been working in Kazakhstan but has vast experience working in North Sea waters. Available immediately and ready to mobilise. Candidate 23776: A Maintenance Supervisor / Electrical Technician with over 14 years experience in the electrical industry, currently working on assets in the North Sea. Has BOSIET with Norwegian waters, Medical, MIST and 17th edition inspection and testing upgrade, COMPEX Ex 01 – Ex 04 plus many other various offshore certificates. Available to mobilise at short notice. Candidate 23802: Experienced Rope Access Electrician, current duties include Inspecting Ex Equipment on Oil & Gas Platforms in the North Sea Sector. During Inspections data is collected and stored using the handheld Ecom System devices. Glanding and Terminating of Ex Equipment in Potentially Explosive Areas using the ISSOW Permit Safe System of work. Available at short notice. Candidate 23870: Fully qualified Electrician with 7 years offshore experience, looking for a permanent role within a thriving major established offshore company. All certificates up to date including IRATA Level 1 Ropes Access. Salary expectation of £50,000+ available immediately. Candidate 23871: Fully qualified CompEx Ropes Access Level 1 JIB Electrician with experience in all areas of electrical work. I am confident and competent working under my own instruction and also have experience leading others and enjoy working within a team. Working for the past 8 years become familiar with the installation of various lighting, power circuits, emergency lighting, and distribution boards, mains incoming panels, contactor panels and control system, in non-hazardous and hazardous areas. Salary negotiable and is available immediately. Candidate 23848: With 9 years experience in both industrial and domestic as well as maintenance on and offshore, a very flexible, competent Electrical professional. Recently demonstrating good leadership qualities working in Azerbaijan, Baku, subcontracting on a 2 month contract where I was in charge of the job with a squad of 3 local electricians. Well educated and motivated individual with excellent initiative and always looking to do better and willing to work abroad. £50,000 minimum salary expectation. Candidate 23852: Very experienced Electrical professional within the Oil & Gas industry, experience includes: maintenance, construction & inspection. Experienced in offshore/onshore oil, gas & petro-chemical. Fully conversant with domestic, commercial & industrial contracts. Able to work under own initiative. Honest & hard working. Fully qualified & well trained. Various electrical authorizations gained, on various platforms. Other training includes abrasive wheels awareness & manual handling for various operators. £65,000 salary expectation. Candidate 23878: Level 3 Rope Access CompEx Electrician with over 6 years offshore experience on a variety of different projects and installations in the North Sea. All valid certificates in place including IRATA Level 3 Rope Access Technician and CompEx 01,02,03 and 04. Ideally would like an international role in an Installation/Construction capacity. Available within 2 – 3 weeks notice, salary negotiable. Candidate 23880: Level 1 Rope Access Electrical Technician with more than 4 years offshore experience and over 20 years qualified in design, installation, maintenance, testing and inspection of domestic and heavy industrial contracts. Seeking international or North Sea based position with 3 weeks notice. Salary negotiable. Candidate 23884: Electrical Technician with 7 years time served experience in the installation electrical systems including petrochemical/industrial industry. Has all certificates to enable him to go offshore, can travel internationally and has an expectation of £45,000 minimum salary package. Candidate 23554: Highly sought after Drilling Superintendent with over 30 years experience in the Oil & Gas industry with knowledge of cementing, sand control, stimulation, tools & testing, MWD/LWD, directional drilling and drilling supervisory positions in many areas of the world. Experienced with land and offshore operations, particularly in deepwater in Med Africa. Only short term contracts considered. Available mid October 2012 and currently looking for new opportunities. Candidate 22710: An Operational / Down-hole expert (Drilling Supervisor) with 32+ years of International and Domestic experience working either Land or Off-shore with Drilling, Work-over, & Completions in both Oil & Gas wells with depths from 1000-25000ft. in various complex formations using Applied Drilling Techniques (ADT). Utilising oil / water, polymer and or silicate based drilling fluids, over / under balanced and / or managed pressure drilling systems, with MWD/LWD/RSS and / or Geo-Pilot for deviated, short-or-long radius horizontals, multilateral, sidetrack and ERD wells. Candidate 22254: Drilling Fluids & Completions Engineer. Over 30 years experience providing technical solutions for fluid operations and engineering when unexpected operational difficulties arise & make sure they are efficient and practical when it comes to implementation. Extensive experience in operations, logistics, budget, expense implementation and scheduling. Performed as Superintendent for many various E& P companies for drilling, work over & completions operations as related to drilling fluids. Dual Nationality- USA / UK. Specialist in HPHT, horizontal drilling, deepwater completions fluids technology and drilling fluids waste management. Land & Deep Water rigs plus drill ships. Available within 1 month. Candidate 22232: Oil & Gas industry expert with over 20 years experience specialising in Well Services/Completions. Experience gained working in North Sea waters, now working internationally. Only short term contracts considered, currently earning approximately £9,000 per month, notice period of 3 months. Candidate 23778: Well Site Supervisor (Texas) – seeking new position internationally. Is a result orientated, high energy , hands on professional with a successful tack record of getting the task at hand done quickly, safely and cost effectively. Open to offers. Candidate 22522: Completions Supervisor with over 20 years hands on experience in the oil and gas sector specialising in open hole / cased hole completions both onshore and offshore, business development, interfacing with clients, providing technical assistance and managing a multi-cultural workforce with a good understanding of the Middle East markets. Immediately available for permanent roles preferably in Middle East. Candidate 23836: Coiled Tubing Advisor with over 10 years in the Oil & Gas industry in the North Sea providing global technical support to operations, engineering, business development, technology & external customers relating to the use of coiled tubing. This includes on going operations and planning of future potential operations as called for. The role also involves creating global best practices & procedures, facilitating the knowledge management website and involvement in technology development etc. 3 month notice period – salary to reflect experience. Candidate 23955: An Engineering Practitioner with over 12 years of progressive experience in Maritime classification, Certification, Verification, Corrosion, Inspection, Reliability and Operational Integrity Assurance management background. He has a proven competence which is based on previous track record of designing, developing, and implementing Asset Integrity and Inspection Strategies and solutions to achieve Operational Excellence and Compliance to Government legislations. Work experience includes projects based onshore and offshore, this experience has been gathered while working on offshore construction/subsea survey vessels, barges, production platforms, refineries, LNG plants, cross-country pipelines and gas fired power plants, in different countries. Backed with this exposure my candidate has moved further into operational integrity/maintenance management in the Upstream, Midstream oil and gas industry. Available within 1 month, salary negotiable. Candidate 23955: Results-driven, reputable Construction and Engineering Executive and Project Manager with comprehensive international experience across all areas of project management including estimating, cost engineering and planning/scheduling. Effective leader with proven ability to devise innovative solutions to cost engineering and planning issues. Broad heavy construction and engineering background with office and field experience. Promoted rapidly throughout career for driving profitability and project success. PMI certified Project Management Professional. Has held numerous state licenses for contracting/construction. Willing to travel or relocate. Candidate 23797: A highly motivated and conscientious Account Manager/Business Development Managerwithin an Oil and Gas Service company, dealing with Operators, Drilling Companies, Supply Houses and Service Providers. Dealing primarily with Business to Business Chemical sales and has built up a strong network within the Oil and Gas Industry. Also tasked with training of new salespeople within relevant area. Immediately available. Candidate 22365: A well rounded HSE professional with 20+ years supervisory experience in areas of site health & safety, project management, SMS management, O&G operations, high profile construction projects with a proven ability and ‘hands-on’ approach to lead, monitor, oversee and implement effective SMS. Currently earning £500 per day but will consider reasonable salary packages. Candidate 23937: Geologist immediately available, has more than 5 years experience in site supervision, logging of soil and rock, acquisition and interpretation of geophysical and geotechnical data, well site engineer activities, remote sensing images processing and interpretation. Salary expectation: negotiable. Candidate 23985: Candidate is a highly motivated Hydraulic Technician individual with extensive knowledge and experience of the Offshore Oil & Gas and Construction industries. Has strong organisational and communication skills, and an ability to work well under pressure offering energetic enthusiasm to meet new challenges. He all has all relevant offshore certs including IRATA Level 1 Rope Access. Availability is within 1 week and salary expectation is £50k negotiable. Candidate 23986: Experienced Mechanical Marine Fitter working throughout the UK, as well as abroad including Angola and Equatorial Guinea, in order to service and rectify faults on marine boats. The role includes fitting propulsion systems (Hamilton Jets and Props Systems), fuel systems, raw water supplies, air conditioning and heating systems, console and control panels and CO2 Systems, reading and analyzing technical drawings, welding, use light sheet metal work, constructing and fitting hydraulic tanks and systems, use stud welders for rock wool insulation, fabricate and fit steering systems, fit and line engines and build and fabricate exhaust systems. Salary expectation £25,000+ and willing to work North Sea and internationally, 1 weeks notice. Candidate 23974: Very experienced Electrical Charge Hand looking for new challenge overseas. Has over 30 years experience working on and offshore in the North Sea in the capacity of Electrical Technician, Electrical Fitter and most recently Charge Hand.. Has all relevant offshore certificates including working at height and harness training. In addition this the candidate hold CompEX EX01, EX02, EX03, EX04. Salary expectation £63,000. Candidate 23976: Currently looking for a roustabout/floorhand position. Most recently working on drilling rigs and has experience working offshore for 6 months now on a 3 and 1 rotation doing accommodation and maintenance upgrades. Available to mobilise immediately. Candidate 23975: Greenhand looking for start offshore, holds the following certs and qualifications BOSIET, MIST, Basic MIG Welding Course, Plumbing skills Holds Current CSCS Card (until 2014). Current job entails producing high quality parts for the automotive industry in a fast paced environment using hand tools and many other types of machinery. Responsible for individual quality checks, working towards strict deadlines and set company targets. Also has gained skills and experience in the area of pipe installation. Available immediately. Candidate 23699: Drilling Materials & Logistics Co-ordinator (DMC) currently interviewing for new opportunity offshore DMC roles. Has approximately 15 years experience from Storeman to DMC and been on various offshore assets worldwide including most recently North Sea. Permanent and short term contacts considered, £525 per day or minimum £80,000 salary. Candidate 23832: 8 years Reservoir Engineer with an MSc on E&P and a specialization on Reservoir Evaluation and Management. Advanced Skills on Reservoir Engineering Subjects (Field Experience and Characterization). Technical Skills: EOR, PVT, Exploration Principles, Petroleum Systems, Structural Geology, Well Testing, Reservoir Simulation, Reservoir Geophysics, Geomechanics, Geostatistics, Drilling Engineering, Economics, Decline Analysis, Risk Analysis, Petrophysics, Subsurface Technology, Reserves Assesment and Booking, Geomodelling and Reservoir Management. Available within 1 week and willing to travel internationally. Candidate 22194: Over thirty years of experience in mechanical engineering largely related to offshore/onshore pipelines and process platform projects. Gained a wide range of experience relating to pipeline and associated equipment from design through construction and commissioning. Extensively involved with the design of a variety of offshore and onshore pipelines. All aspects of design have been covered from material selection, sizing, wall thickness, stability, expansion and buckling, support design, cathodic protection routing and alignment sheets etc, as required by the relevant codes of ASME, BS, API, and DNV. Available within 1 month. Candidate 23812: Over 10 years experience working as a Maintenance Engineer, with many working offshore. He is a versatile & highly accomplished professional demonstrating strong experience as a Maintenance Engineer / Supervisor specialising in the technical maintenance of hydraulic & pneumatic lines. Hands on experience in organising routine servicing schedules, checking and calibrating instruments to ensure accuracy, carrying out quality inspections, responding immediately to equipment breakdowns. Salary expectation £67,000 and can mobilise immediately. Candidate 24133: An outstanding EPC Upstream Projects Director / Executive who has 36 years in the 26 years experience in the international Onshore and Offshore Energy Sector with over 15 Years working at Senior Management level working in various locations globally. He is a highly experienced professional in Offshore Oil and Gas Field Development from Project Appraisal / Sanction, Conceptual, FEED, Pre-qualification, Tendering, Feasibility Studies, FEED Review Verification, Vendor Surveillance Supply Chain Management, Program and Critical Path Analysis, Contract Management, QHSE, Production Management, Mechanical Completion, Interfaces, Hook-Up, Marine Spread Logistics, Commissioning / Start-Up, Project Turnaround Plans, Commercial Close Out Including Dispute Resolution on multi-million $ projects. Key experience in Topside Process and Production Completion Hook Up and Commissioning of Pipelines, Fixed Installations, MODU´s, FPSO´s and FLNG´s, LNG Plants and Petro-Chemical Gas Processing Plants, Key player in establishing 3 Companies with Shareholder / Director Status and follow through to negotiations for acquisition. Candidate 22257: An exceptional Geoscientist with Exploration and Research experience in shallow-water and deep-water siliciclastic and carbonate plays new on market. Candidate has practical experience working on numerous projects interpreting geophysical and petrophysical data in addition to sharing knowledge in sedimentology, sequence stratigraphy, basin modelling and reservoir characterisation. A Geoscientist who seeks a company that is forward thinking, committed to developing its people and promotes a culture of continuous improvement. Is relocating to Houston as soon as possible. Holds a B1/B2 Visa (partner holds L1) therefore is not currently eligible to work in the country at this stage, would require sponsorship. Is looking for a salary of approximately $127,000 USD and is available with 3 months notice.